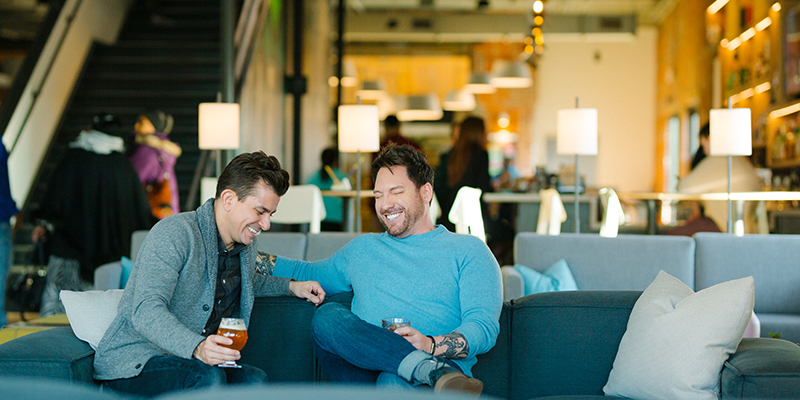 With Kansas City’s craft beer and cocktail scene more popular than ever, there’s another toast-worthy transformation that’s sweeping the metro: recreational bars. Whether you’re playing fetch with Fido, ruling pickleball courts or tossing axes, these clever combos offer an abundance of new experiences worth revisiting time and again. 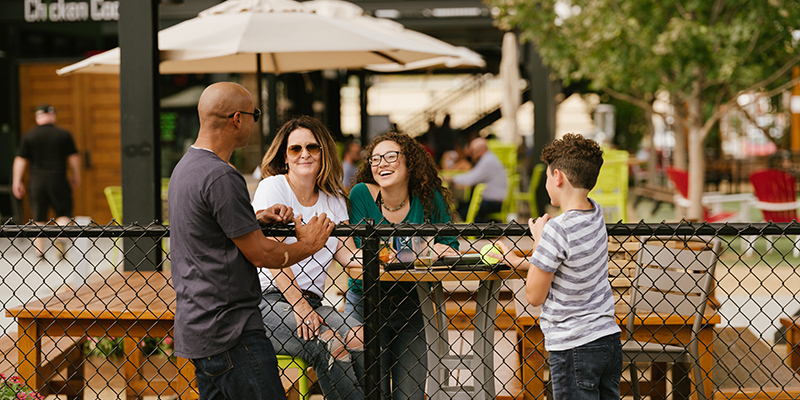 Grab a racket and a drumstick at Chicken N Pickle, an indoor/outdoor North Kansas City establishment that features pickleball courts, wood-fired chicken and plenty more. Newcomers to the sport will appreciate lessons while seasoned vets love to compete in popular pickleball tourneys. Head to the Crossroads Arts District for a double dose of arcade action. 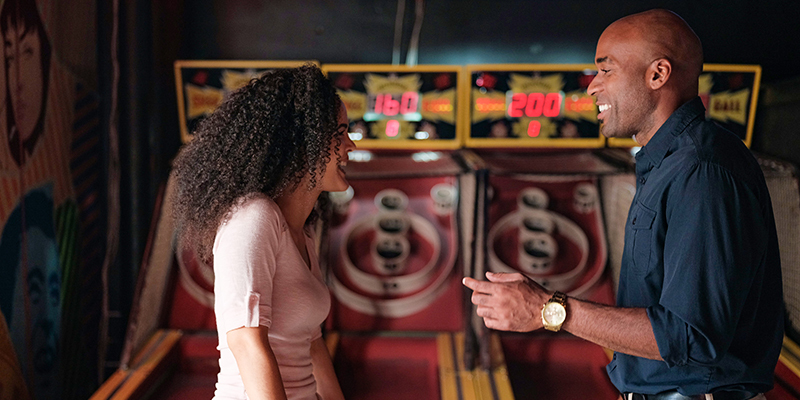 At both Tapcade and Up-Down, visitors can relive their childhoods with nostalgic pinball machines, arcade titles and other touches of old-school cool—all while enjoying craft beer and drinks. If you prefer board games, try Pawn & Pint in Downtown KC for everything from Settlers of Catan to Battleship, plus craft beer and cocktails. 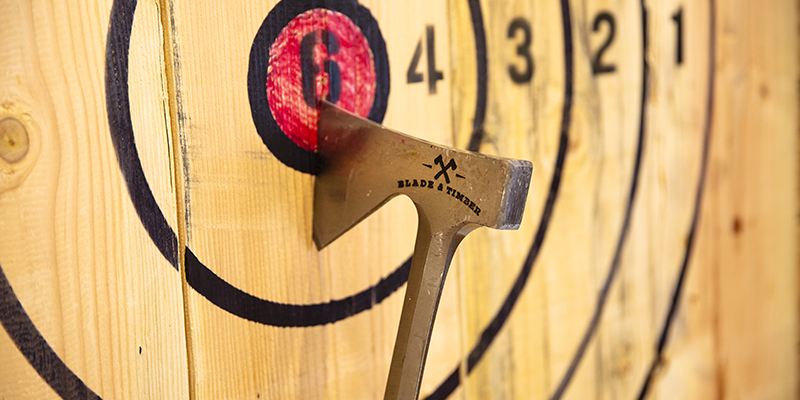 Blade & Timber unlocks the inner lumberjack in everyone with axe throwing experiences in the West Bottoms and in Leawood. Not to fret—safety is paramount here, so you’ll be an expert deadeye in no time. 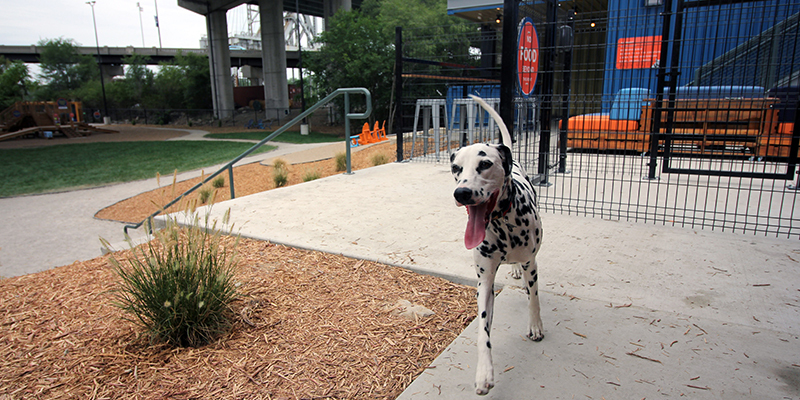 Treat your canine friend to a morning, afternoon or evening out at Bar K, a pooch-centric hangout designed for pets and pet partners alike that features an off-leash dog park, bar, restaurant and year-round programming for all. Soccer fans celebrate big goals and huge stops at No Other Pub in the Power & Light District. 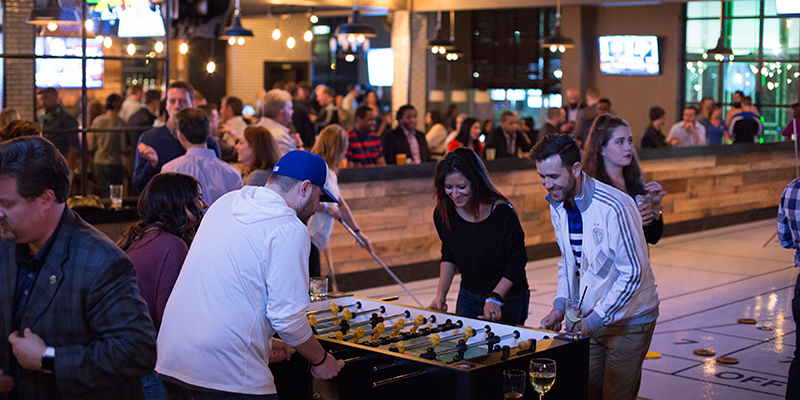 The tricked-out sports bar is backed by Sporting Kansas City—the city’s resident soccer club—and comes complete with foosball, ping pong and billiards tables, as well as bowling, shuffleboard and virtual golf. Sophisticated yet understated, Afterword Tavern & Shelves is a laid-back Crossroads bookseller that doubles as a bar, which makes it perfect for perusing your next favorite novel (or memoir, or poetry book) between sips of handcrafted cocktails. 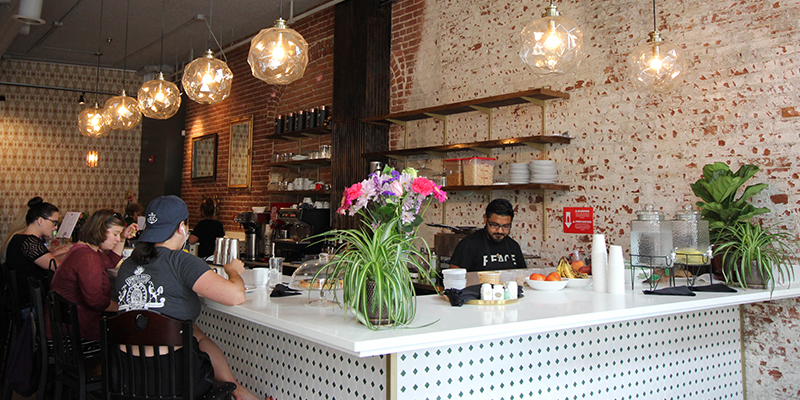 In the River Market neighborhood, Our Daily Nada utilizes a similar concept for visitors in search of popular titles representing a wide variety of genres. Gather a group for after-work drinks or head there solo during daytime for espresso caffeination—either way, you’re sure to find a new title that’ll pique your interests. Shop, sip and snack all in one at Made in KC Marketplace, one of the most exciting storefronts at the Country Club Plaza. 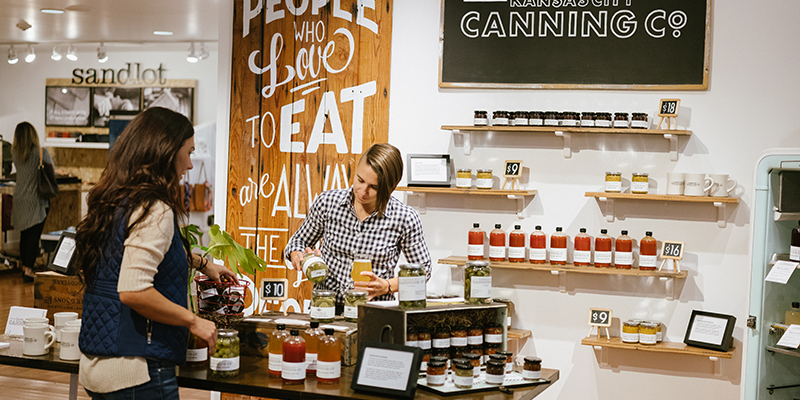 The Marketplace combines local retail with regionally produced beer and food for a veritable showcase of Kansas City’s maker scene. Parlor capitalizes on Kansas City’s recent boom in culinary culture with a dedicated home base for seven rotating restaurant pop-ups. Diners can drift from station to station to create their meal (current options include hot chicken, Korean comfort food, Scandinavian street bites and more), all the while sampling spirits and brews from two full-service bars.